MONAT MLM Review - Is the MONAT MLM Opportunity a Scam? New home-based businesses pop up almost every day. One that you may have heard about recently is a company known as Monat. 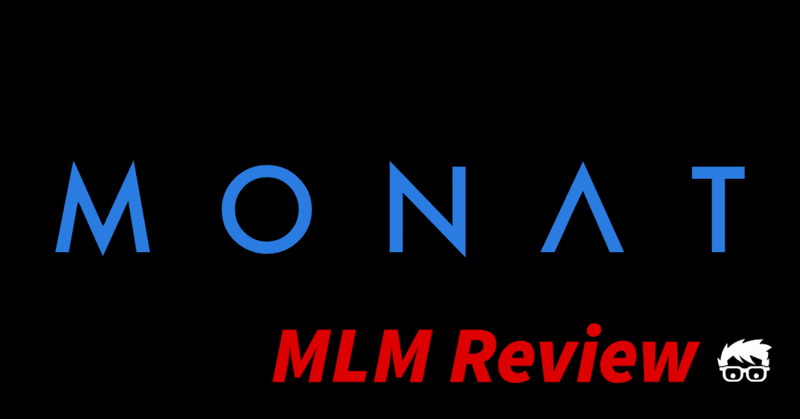 In this Monat review, we’re going to be looking at what products the company has to offer, how their business is structured and determining if it’s truly a great home business opportunity, or one that should be passed over. Based out of Doral, FL, Monat is a company that sells hair care products through a direct sales MLM business model. The company was originally founded by the Urdaneta family in 2014 and has since expanded its’ sales force and operations to cover the US, Canada and the EU. While the company had quite a bit of good publicity in its’ first years of operation, recent news coverage has been a little bit more questionable to say the least. To understand exactly what this business opportunity entails and why it’s been in the news so much lately, let’s first look at what products Monat is selling inside of their MLM opportunity. Are Monat’s Products Worth Their Price? To successfully run any business, especially one that is selling a physical product of some type, it’s important that the goods and services offered by the business are exceptional. That just makes sense. After all, if your company is not selling quality products, it’s going to be hard to convince potential customers to make a purchase, right? Well, unfortunately the recent media coverage of Monat is certainly not going to be making products fly off the shelves. Since February of this year, Monat has had five class-action lawsuits filed against the company. Some consumers have complained that the products offered by Monat result in hair loss, burning and itching scalp and severe allergic reactions. The company has also received 552 complaints at the Better Business Bureau for issues with their products or their MLM business opportunity in the last 12 months. Another issue that has recently appeared in news media about the company is that several of their Market Partner’s (this is what Monat calls their MLM sales agents) made claims that products were FDA approved. Just for clarification, the FDA does not certify any cosmetic products whatsoever. All in all, the numerous amount of complaints against the products offered by Monet raises a red flag if you’re considering starting a business working with the company, in my opinion. Now that you have a little bit of an understanding about the products that Monat has to offer, let’s look at the business opportunity being offered by the company. Like many other MLM companies out there, you’re supposed to only be able to purchase Monat products exclusively from their Market Partners. Unfortunately, this isn’t the case with this company. A quick Google search reveals that the products that are supposed to be exclusively sold by market partners are easily available to purchase online. 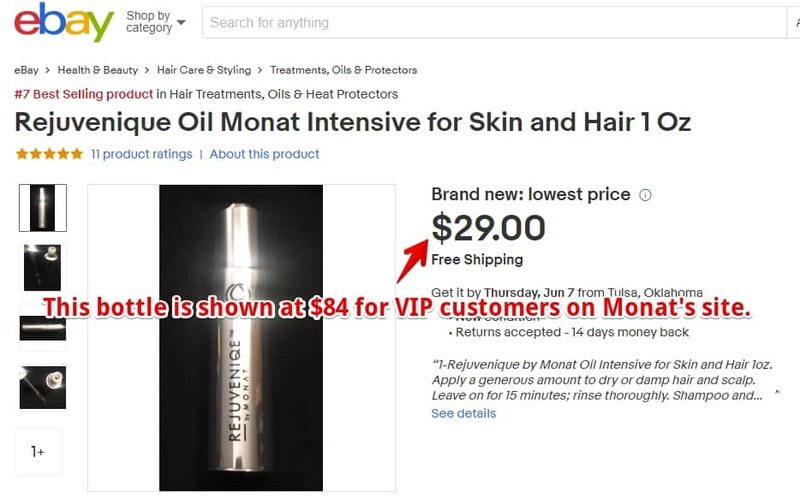 Even worse, on sites like Amazon and eBay, Monat products are selling for lower prices than what is available to market partners who are receiving the products as a subscription. If you decide to join Monat as a Market Partner, this could potentially be a very large barrier to entry when it comes to getting others to sign up under you. How Much Does It Cost to Join Monat? There are several tiers available that you could sign up for as a Market Partner at Monat. Basically, joining the company at a higher membership level allows you to receive more products every month that you could use yourself or give to potential customers as demonstration products. The membership starts out at $99 and goes all the way up to $649. It is very important to note that most of these memberships are renewed every month and new products are shipped to you automatically. 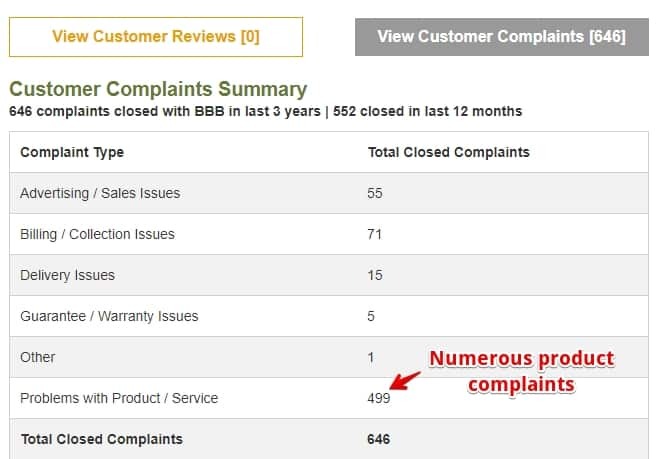 Also, several of the complaints at the Better Business Bureau were because of Market Partners being unaware that they were signing up for future product shipments during their initial membership sign-up. Many of these complaints also stated that it was taking as long as three months to receive any kind of refund after requesting it. It’s very important when you’re signing up for any kind of new business venture that you understand exactly how much money it’s going to take for you to run your business. Unexpected expenses can really cripple your business, especially when you’re in your startup phase. Can You Make Money with Monat? Despite the amount of negative publicity that Monat has had in recent months, there are a lot of people who have claimed to be earning a significant income. Just like most MLM opportunities, if you’re able to get in on the ground floor, it’s much easier to make money with the program. Perhaps the one thing that the Monat business opportunity has working for it is the fact that it’s still relatively new. This means that it is significantly easier to sign people up under you if you would choose to take advantage of the opportunity. It’s much easier to sign people up for MLM opportunities while the company is still young, and most people who find success with MLM companies do so while the company is still in earlier years. In 3 years, Monat has expanded to cover the US, Canada and the EU. This shows significant demand for the business opportunity or products. 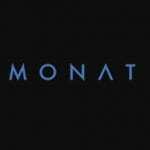 Since February 2018, Monat has had 5 class action suits filed against them for supposed damages caused by their hair care products. There are a lot of complaints on sites like the Better Business Bureau and YouTube from people using Monat products. Just like the complaints coming from people who use their products, there are numerous complaints from people who claim to have been Market Partners. Many of these complaints are that when they decided this business opportunity is not for them, they struggle to reach support to cancel their memberships. Another primary complaint from customers and Market Partners alike is that it often takes months to get refunds from Monat. Monat does have numerous market partners who claim that they’re making a very successful income with the company. For that reason, I don’t believe that Monat is a scam. Just like any other MLM company, it can often be very challenging to earn money as most of your income depends on the success of those who sign up underneath you. This means that you are typically serving in more of a managerial role than that of a more traditional business owner. Taking into consideration the amount of negative publicity that Monat has been receiving in recent months as well as the number of complaints from customers and Market Partners alike, I think that there are better business opportunities in the beauty sector out there. While I don’t believe that Monat is a scam, until the negative publicity and business complaints are resolved, I think it would be challenging for you to be able to succeed with this business. Also, as I’ve stated in other MLM company reviews, when it comes to running a successful business structured as an MLM, too much of your success depends on how those you recruit perform rather than how well you perform. The success or failure of your business should fall into your hands rather than the hands of others. If you’re ready to get started with a business that you can run from the comfort of your own home or even while traveling abroad, take a moment to check out my top recommended resource. Inside, you can see exactly how you can determine whether your business succeeds, and where you can find all the tools and resources necessary to run a full-time business from home. This article is a joke and is full of incorrect information. For starters, Monat does not have any auto shipments. There are also no minimum monthly orders. As a market partner, you do not have to cancel your “membership”, you can simply just stop ordering. Returns/refunds take about 2 weeks on average. I could go on and on about the false content. Get your facts straight. LOL this article is totally accurate and has verified information based on facts about the company. These other commenters are just trying to persuade people into the lie that is monat. My sister lost most of her hair because of their products and has to wear wigs now. Beware of monat!!! Its poison for your hair and will make you go bald!! And what happened when she wanted a refund because their product ruined her life? They wont issue a refund! And yes they have automatic recurring billing and shipments of products to her that were difficult to stop… monat is an evil scam company that will ruin your life! I am a market partner for Monat and this article has A LOT of false information. First as market partners we are NOT obligated to buy anything lol we buy a product pack to start and that’s it. Then we can make this a successful business for ourselves or not. Your sister did NOT lose her hair from Monat. NO shampoo can cause you to lose your hair. Some people do have allergies to things but that does not make them bad products. Monat has completely changed thousands of people’s hai including my own for the better. Has grown in people with significant balding and much more. There is NO autoshipment at all for market partners or customers just buying the products and that is very clear. Im sorry you and your sister have such a negative feeling about Monat. I hope your sister found the real reason for her hair lose. Thank you. Reading this is rather infuriating when the facts are so completely false. There literally are NO minimums, No auto shipments, and Customer Service is off the charts with good service and returns and refunds. Yes doing business with Monat could prove challenging when misinformation is being spewed all over the place. But despite all of that, the products work! ( Like seriously, my hubby was thinning badly and now has amazing hair regrowth, no more signs of dandruff or Psoriasis, and my hair is healthy and shiny after 1 yr of using the products. The products work and the majority of the consumers who try it become hooked on it. That’s why the company is topping charts in the haircare industry and has been so successful because they put so much time and science behind every proven formula. Honestly buddy, get your facts straight! Monat is absolutely a scam! I have come in contact with the hair loss and damage it causes first hand! And the auto shipment they put you on is true! Overpriced nonsense!! Actually there is NO AUTOSHIPMENT. There is a program called VIP people can sign into to get a discount and a bunch of other perks that has a requirement of 3 FLEXSHIPs in a lifetime. Flexship is FLEXIBLE. You set the date, you pick the products. Nothing automatic or required monthly. Several people in our family and many of our friends have been using now for over a year with amazing results. My husband who was thinning badly before now has at least 50% MORE hair and our hair is all shinier and healthier than we’ve seen in years. Not only that, I know hairdressers who absolutely LOVE the products and say there is nothing on the market they have Ever worked with that have produced these kind of positive results and helped so many customers with their scalp and hair issues. Not sure what your story is but I can tell you I know so many people now who use this product and LOVE what it has done for them. The flex ship requires you to order at least 3 times or they charge you $25 to cancel. Scam in my book. No scam. A scam takes but doesn’t give back. Monat gives so much back. Not only to the Customers but to charities. The Flexship order is required 3 times in your Lifetime. The order can be rescheduled as many times as you like. There is a free product valued at min $25 every time you place a Flexship order along with free shipping plus the 15% discount. These are all part of the perks with VIP. If a person prefers they can pay retail and shipping with zero required orders in the future. This is a program for anyone who wants to save money in the long run and give the products time to transform their hair. No one is forced to become a VIP. If they decide to not fulfill the 3 orders in a lifetime then there is a cancellation fee. But minimal compared to the savings and free product given. But to each their own. If this company was a scam it would not be on top of the list for best MLM companies within it’s first 5 years in business. A VIP or MP has only 3 times to make an order in their lifetime with Monat. That is not a scam – actually, it’s generosity. There is no pressure- one can move up the flex ship date as they wish and they also have the option to be a retail customer with no membership. 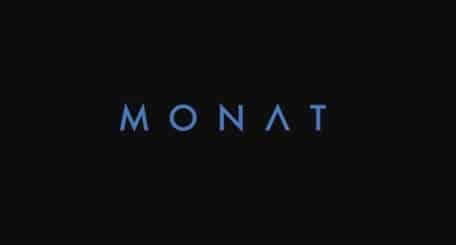 Monat is far from being a scam as it wouldn’t be in the billion dollar global industry as the one and only #1 direct marketing hair care company. It’s a USA company as well and that wasn’t explained in this subpar review… there are so many strengths out of the gate for this fine company. This review is very poorly advised and is a subpar written ‘opinion’. Monat is a class act and treats their partners and communities with ‘gratitude’ and the products stand on their own for being a source of excellence for people who appreciate using naturally-based haircare that is extremely advanced compared to the market. The writer quips about bad press for this 4 yr new company continuously showing that his opinion is by far, articulated from what he has read, not what he ‘knows’. Monat has brought success in its modern business structure and its high-end products, that the few billion dollar, global interfacing Direct marketing company has only worked past any complaints or formal legalities. Monat has stood strong and complaints have not stood up in court. Having *Fraud appear is a common issue for companies like Monat who are so successful right out of the gate. I am proud to say ‘take it with a grain of salt’ because this doesn’t identify with Monat. The source does not have his info correct- and it’s all hearsay RE how the company is set up and how business is handled. There are no pressure sales or quotas to follow or auto-ships and the company is always providing great incentives and overall the entire Monat field is a positive circle making doing business with Monat a joy. The Customer Service at Monat is exceptional and they compensate for any needs a partner, vip or retail customer has and caters to the Monat experience. I’m personally tired of reading misinformed, disparaging, and poorly opinionated reviews like this one. In my opinion, I’m happy to give Monat two thumbs up and a great hair day! Thank you Tami. I couldn’t have said it better myself. It is getting pretty tiring indeed to listen to people who clearly have not personally dealt with Monat directly or have been misinformed through people who do not understand anything about this company. I have been blown away by the level of care they provide both their customers and their Market Partners. And honestly, the products are unsurpassed. Thanks for writing your perfectly articulated response to this review.